BMW’s innovative lineup of X series SUVs will let you enjoy comfort and experience optimal driving pleasure. Each model of SUV in our X-series has the ability to own the road and provide you with a pleasurable driving experience. If you live in the Milton area and you are interested in the purchase of a BMW SUV, the team at BMW Oakville is eager to share their extensive knowledge and our inventory of SUVs with you. We are committed to providing you with our services, and we want to be a part of your driving experience. Spacious Interior: This SUV has a high roofline allowing for ample head room along with 56 cm of legroom the further adds to passenger comfort. Adjustable seating: The adjustable seating will allow you more room for luggage and increased back support. Abundance of room for bulky items. Thanks to BMW EfficientDynamics technology and lightweight design, the BMW X1 is able to reduce fuel emissions and consumption. With xDrive and steptronic, the BMW is able to maximize stability and efficiency while on the road. You will be able to conquer unexpected road conditions caused by inclement weather or other situations with ease and confidence. If you would like to get more information on the BMW X1 and you reside in the Milton area, please visit this page or come in to Budds’ BMW Oakville for purchasing advice or a test drive. ECO pro mode will focus more on efficiency while you drive, while sport and comfort modes will focus on more on how the X3 drives. If you would like to get more information on the BMW X3 and you reside in the Milton area, please visit this page or come in to Budds’ BMW Oakville for purchasing advice and a test drive. If you enjoy taking curves and turns at higher speeds, than the BMW X5 will not disappoint you with its design and world-class driving dynamics. This SUV will give you everything with performance and minimize fuel consumption and emissions. If you are hesitant or nervous about night driving, the BMW Night vision can detect larger animals and individuals ahead of you that could be a potential hazard, ultimately ensuring your safety. Park Assistant and camera systems on the BMW X5 will boost your confidence with parking and increase the consciousness of your surroundings. 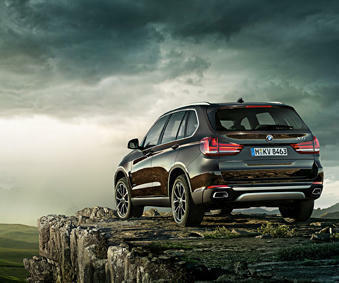 If you would like to get more information on the BMW X5 and you reside in the Milton area, please visit this page or come in to Budds’ BMW Oakville for purchasing advice and a test drive.